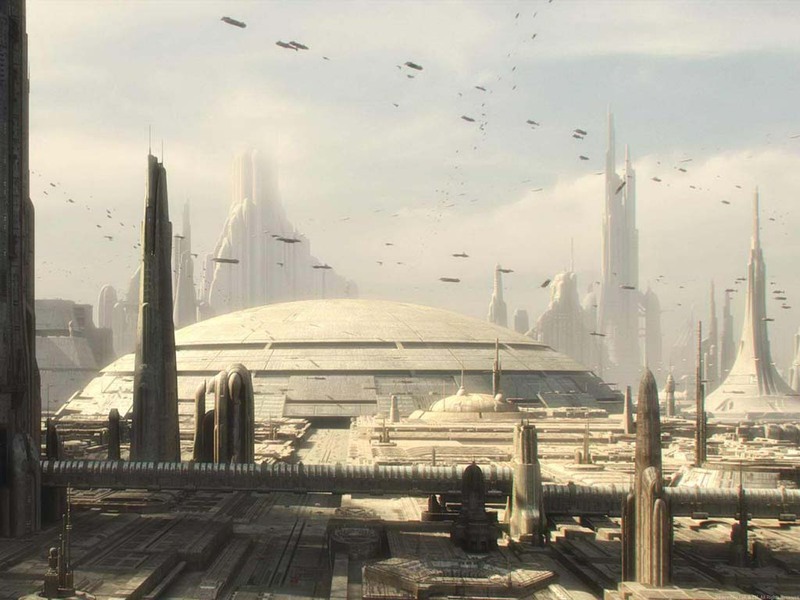 Auto-Navigating Sklanes like the one seen on Coruscant (think of a global Los Angeles) would be a welcome and necessary technology. With Earth’s global population predicted to reach 9 billion by mid-century, and who knows how many by the time we reach Star Wars technology levels, we’ll certainly need auto-navigating skylanes to keep that much traffic from crashing into one another. Much like the mundaneness of navigating modern freeways, we’d rather kick back, relax and let a computer do the work. Auto-Navigating Skylanes would be infinitely more safe for motorcyclists as they allow motorists to text one another without risking the lives of everyone around them.